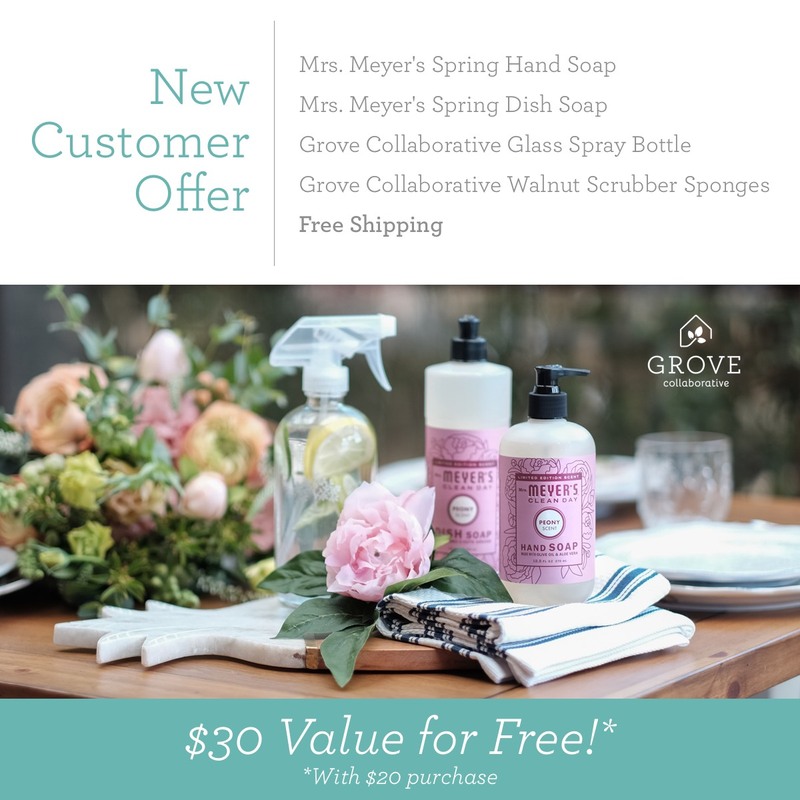 In case you missed it, I’ve partnered with Grove Collaborative to offer a fabulous spring cleaning kit! 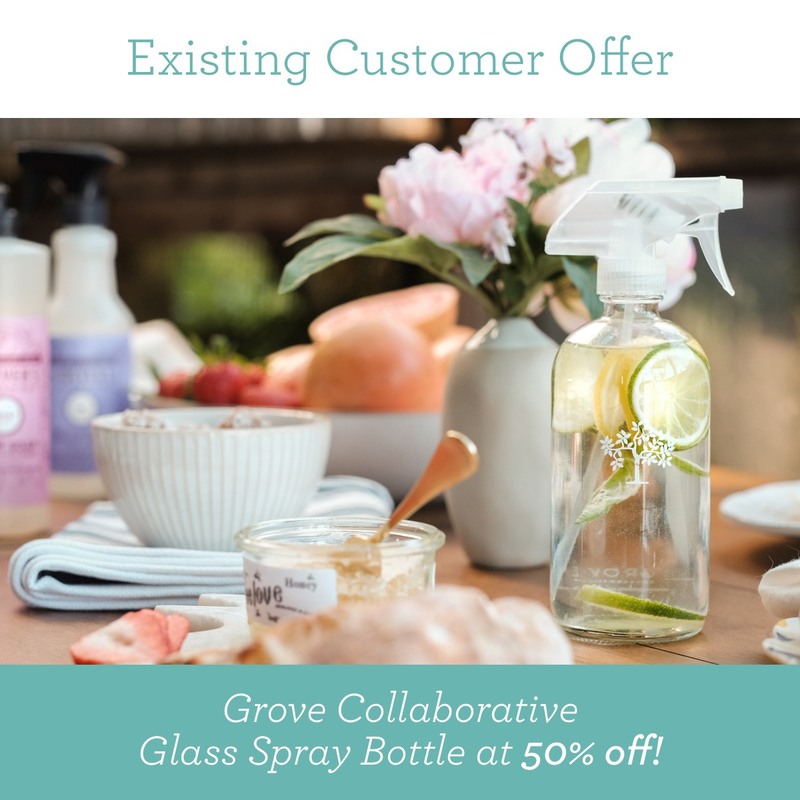 Whether you’re a new or returning Grove Collaborative member, you can get a FREE glass spray bottle! Here are more than 20 ideas for what to do with it. You’ll want to add a few more to your order! 1. All purpose cleaner: mix 1 cup water with 1 cup distilled vinegar and 10-­15 drops of essential oil. Shake and start cleaning! 2. Air freshener: mix water with a few drops of any of your favorite essential oils and spritz away to refresh your home. 3. Glass cleaner: mix 1?4 cup rubbing alcohol, 1?4 cup distilled white vinegar, 1 tbs cornstarch, 2 cups warm water and 10­15 essential oil drops ­­ spray directly onto the glass surface and wipe clean. 4. Wood polish: combine 1 tbs olive oil, 1 tsp distilled white vinegar and 2 cups warm water in the bottle. Spray mixture onto varnished wood and wipe with a soft cloth (I recommend the eCloth). 5. Shower spray: combine 3?4 cup baking soda, 1?4 cup lemon juice, 3 tbs salt, 3 tbs castile soap, 1?2 cup vinegar and 10 drops essential oil (optional) in spray bottle. Shake and start cleaning. 6. Wrinkle releaser: mix 2 cups water with 1 tbs white vinegar and 1 tsp fabric softener. Shake to combine and mist onto clothing as you iron! 7. Stain remover: mix 2 parts water, 1 part hydrogen peroxide and 1 part washing soda. Spray on clothes, let sit for 5 minutes, launder and be stain free. 8. Weed repellant: Get rid of weeds poking through the concrete by spraying them with undiluted white vinegar. 10. Facial toner: combine raw, unfiltered apple cider with water (you can add essential oils or brewed herbal tea, too!) and gently spray onto your skin. Tip: the amount of vinegar will vary based on your skin type. 11. Insect repellent: mix 2 tbs witch hazel, 2 tbs olive oil, 1?2 tsp vodka, 100 drops of essential oils (lemon, cedarwood, lavender or rosemary recommended). Shake well and apply. 12. Detangler: bring 2 cups of water to a simmer ­­ combine the water and 1?2 cup conditioner in the spray bottle. Apply to the ends of your hair and feel free to leave in or rinse out. 13. Moisturize your hair before you go to bed! Fill the bottle with water, your favorite essential oil and a little conditioner to create a light moisturizing mask. 14. Make your own baby wipe spray: place a drop of olive oil and a few drops of baby shampoo into water. This creates a gentle mixture to replace your baby wipes. 15. Need to cool down on a warm day? Use your spray bottle for refreshing relief! 16. Produce wash: mix 1 part vinegar with three parts water in a spray bottle. Spray on produce, let sit for 1­3 minutes, rinse, enjoy! 17. Coat your cookie sheets and pans. Fill the bottle with oil to grease your pans and cookie sheets. 18. Fill the bottle with your favorite thin sauce (lemon juice, soy sauce, balsamic vinegar) and subtly add flavor to your favorite foods! 19. Car de-­icer: fill your bottle 1?3 of the way with water and fill the rest with rubbing alcohol ­­this will melt this ice away, just be sure to turn on the windshield wipers a few times. 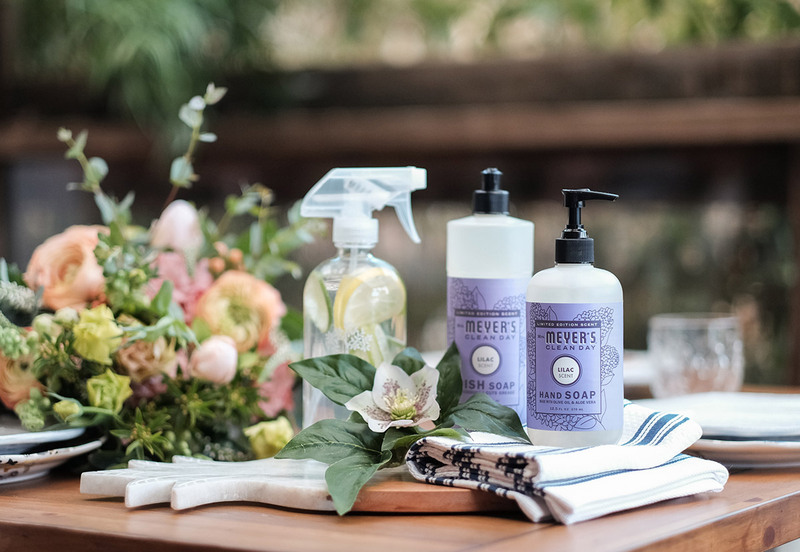 « How to Design a Cleaning Routine that Works for YOU!